All Entries Tagged With: "global warming"
Hurricane Harvey has made landfall at the Texas Coast. Damages rage on with Harvey lingering and potentially intensifying. "The agony has just begun," warns CBS News science and futurist contributor, Dr. Michio Kaku on ‘CBS This Morning: Saturday’ as he explains the science behind this and other destructive storm surges. WATCH NOW! 2016 is expected to be the hottest year ever recorded. Climate scientists warn that polar sea ice is melting at alarming levels. 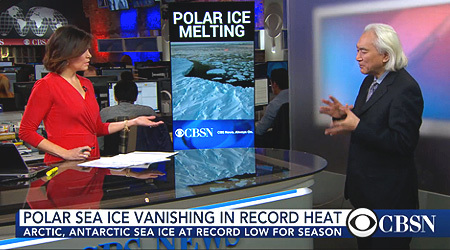 CBS NEWS science and futurist contributor, Dr. Michio Kaku, appears on CBSN to explain what’s happening with the weather from a global perspective and to describe the factors that converted him from a skeptic into a concerned believer in the climate change crisis. WATCH NOW! Dr. Michio Kaku sits down with Stuart Varney on FOX Business for a rapid-fire discussion of the science behind a number of life-threatening developments happening right now that could really ruin your day. Pick your poison: Will it be death by over-speeding train? How about a mysterious and systematic breakdown in the food chain? Why not cut to the quick with a mile-wide asteroid on a collision course for Earth? All are covered in a lively session you really should see. WATCH NOW! 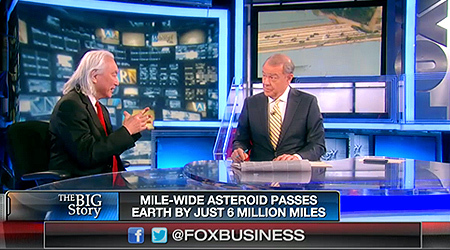 Dr. Kaku joins the quick and quirky Kennedy on FOX Business to chat about planet-busting asteroids and… baked goods? WATCH NOW! California is in crisis. With record-breaking drought levels year over year and no major intervention plan, the situation has continued to worsen. Now, California Governor, Jerry Brown, is imposing the state’s first-ever mandatory limit on commercial water use. 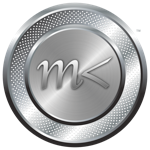 Will it be enough? 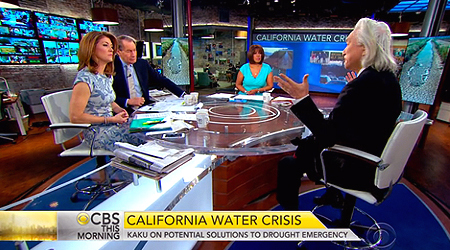 CBS News Contributor, Dr. Michio Kaku recently joined ‘CBS This Morning’ to offer his perspective on the drought emergency and explore potential viable solutions to address the growing problem. Dr. Kaku warns that whatever happens next will have a definitive impact on the famed California lifestyle. WATCH NOW! 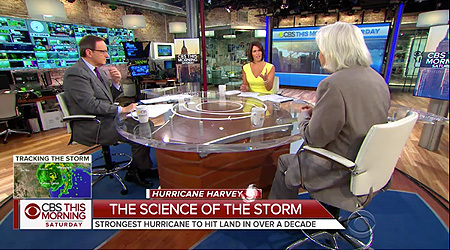 Dr. Kaku is a regular contributor to CBS THIS MORNING and CBS NEWS. 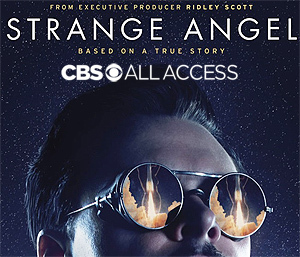 Watch him on your local CBS broadcast or here at his official website.